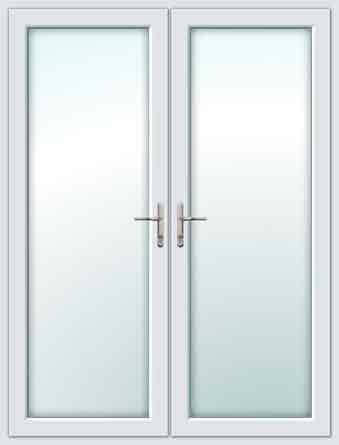 Our quality, super strong, secure and thermal efficient front doors offer tremendous benefits for your home and provide you the perfect choice to compliment your property and existing double glazed upvc windows. They give exceptional thermal performance and enhanced security, with lower u values than timber, hardwood, aluminium and upvc doors meaning lower energy and home insurance bills. Available in a great selection of 13 external door colours black, blue, green, red, white, oak, darkwood, chartwell green, cream, grey, duck egg blue, poppy red and black brown. 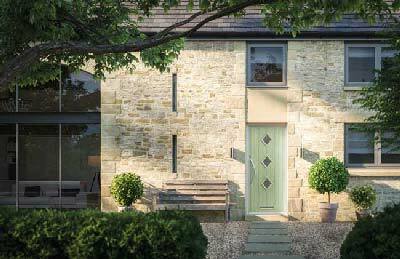 With a choice of door hardware and contemporary furniture suites available, along with a fantastic selection of glazing designs and patterns to choose from will ensure you can find the perfect replacement new front door for your home. As standard, all front composite doors come with a high security door cylinder and multipoint hook locking system to ensure maximum security for your home and family. Delivery is available throughout the UK and within 5-15 working days from order. 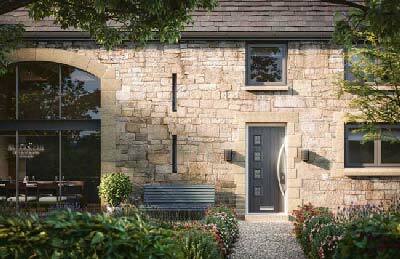 We guarantee you will not find better value and lower priced front doors online of this quality and specification, but just incase you do we offer a price match guarantee - we won't be beaten on price, door quality and service! We don't believe in comprimising on quality. We've brought together materials to give you the very best in strength, easy maintenance, security and weather resistance. 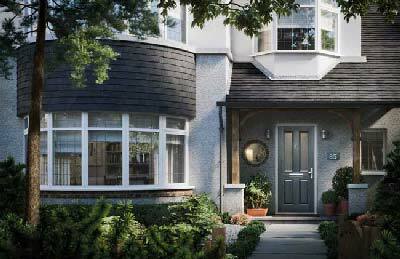 Our secure composite front door is 44mm thick, it's super strong structrual frame and hardware makes our external front doors even more secure. It's grp woodgrain finish means you will be secure in all weathers and enjoy the door for years to come. Now you can make more of a statement with our range of contemporary hardware suites which can transform your front door into a real property feature. We already offer billions of options that enable you to order exactly what you want and now we've made it even easier with the right security options. Whichever locking system you prefer, your new front door will be PAS24 and BS6375 approved and have a kitemarked cylinder lock as standard. Designed, developed and tested to deliver the very highest levels of performance for security and ease of use.